WAVERLY --- Donald George Dietz, 86, of Waverly, died Thursday, Jan. 10, at Waverly Health Center. He was born May 26, 1932, in Plainfield, son of Louis Lyle and Mildred Lucille (White) Dietz. He attended school in the Plainfield area. On Feb. 15, 1953, he married Marjorie Ann Hirsch at St. John's Lutheran Church in Nashua. He entered the Army on June 5, 1953, serving during the Korean Conflict until his discharge on April 27, 1955. Don worked for the city of Waverly for 40 years. Following his retirement, he worked at Croell Redi-Mix for 10 years. He also had other jobs, including hauling milk and helping farmers. He was a member of Redeemer Lutheran Church in Waverly, AMVETS, VFW and the American Legion. Survivors: his wife; four sons, Steve (Julie) Dietz of Shell Rock, Doug (Janet) Dietz of Clarksville, Greg (Mary) Dietz of Clarksville and Mike Dietz of Shell Rock; three daughters, Sandy Dietz of Waverly, Lisa Hess (Jim Wessels) of Clarksville and Susan (Dave) Suhr of Oran; eight grandchildren; 15 great-grandchildren; a brother, Merlin (Janice) Dietz of Plainfield; two sisters, Marge Reeves of Nashua and Sally Vowell of Charles City; and a sister-in-law, Sandy Dietz. Preceded in death by: his parents; two brothers, Richard and Leon “Buzz” Dietz; a brother and sister in infancy; and a brother-in-law, Richard Reeves. Services: 10:30 a.m. Wednesday, Jan. 16, at Redeemer Lutheran Church, Waverly, with burial in Horton Cemetery, with military rites by the Waverly Area Veterans Honor Guard. Visitation is 4 to 7 p.m. Tuesday at Kaiser-Corson Funeral Home, Waverly, and for an hour prior to services at the church. Memorials: to the family for a later designation. 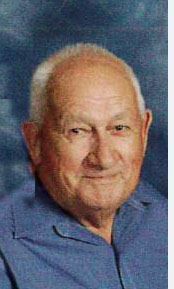 He enjoyed doing woodworking, collecting Case tractors, watching old-time Westerns, going to Antique Acres, but most especially spending time with his grandchildren and great-grandchildren.